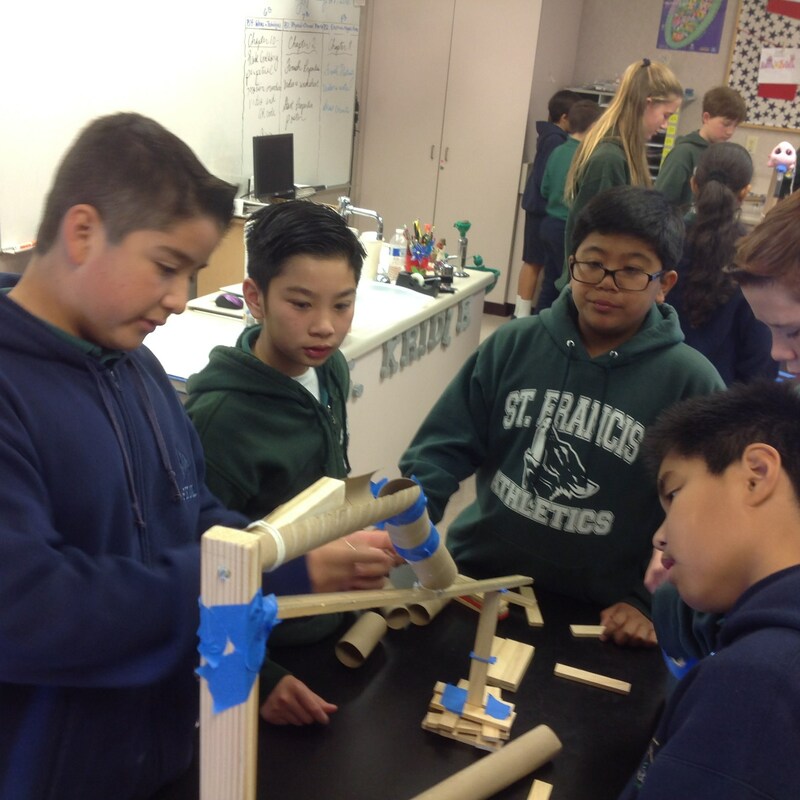 At St. Francis of Assisi Catholic School our science curriculum stresses student inquiry, critical thinking and questioning, open-minded investigation and reflective practices. 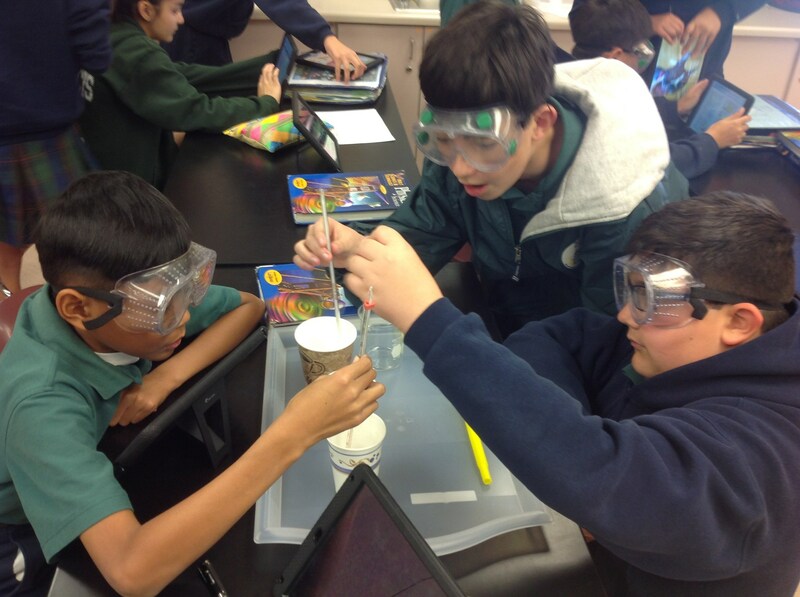 Lessons are designed to inspire our students to be curious, to explore, and to increase their depth of learning. 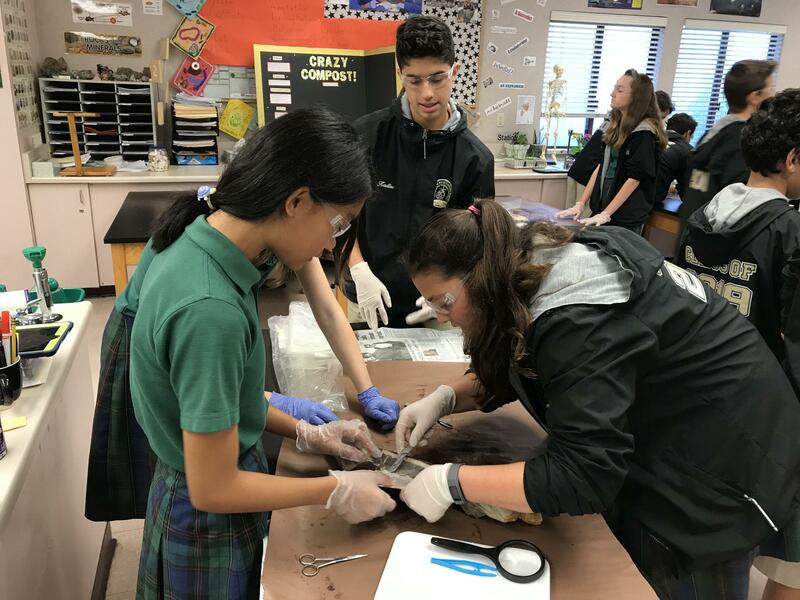 Through hands on experimentation as well as critical thinking tasks and evaluation, we are forming students to solve problems, think deeply and critically and make informed, scientifically literate decisions rooted in Catholic teaching and moral responsibility so that they are well equipped to face the world. 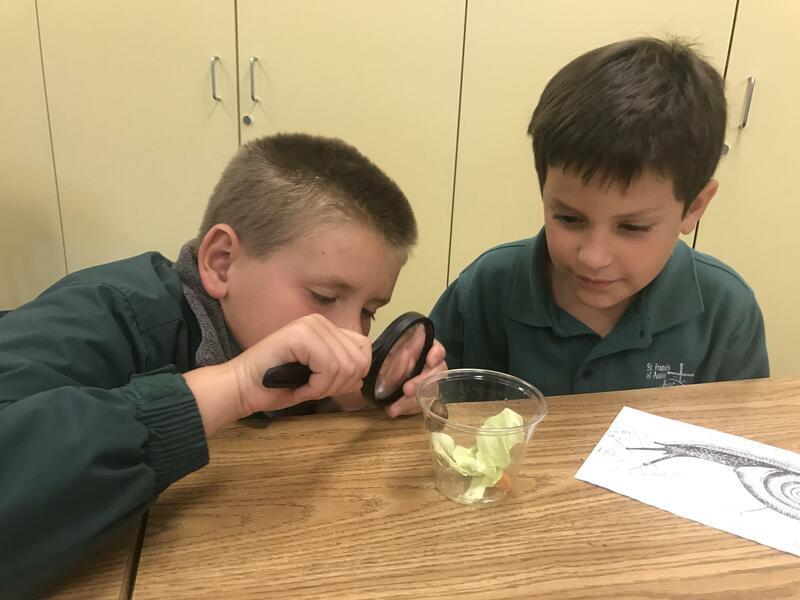 Starting in Preschool teachers help our youngest students experience, discover, and wonder about the world around them through a variety of methods including reading stories, signing songs, showing pictures and videos, and offering hands on activities. 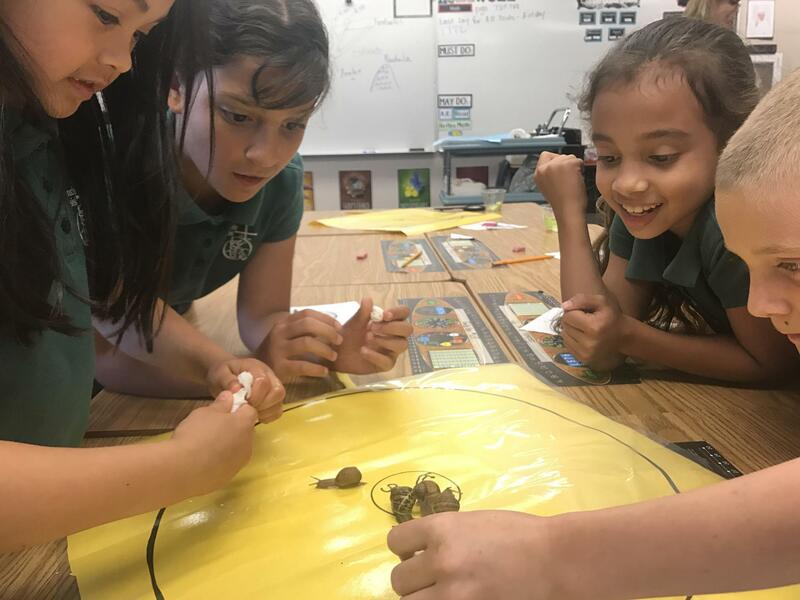 These practices help our Preschool and Pre-Kindergarten students make connections and develop logical thinking skills. 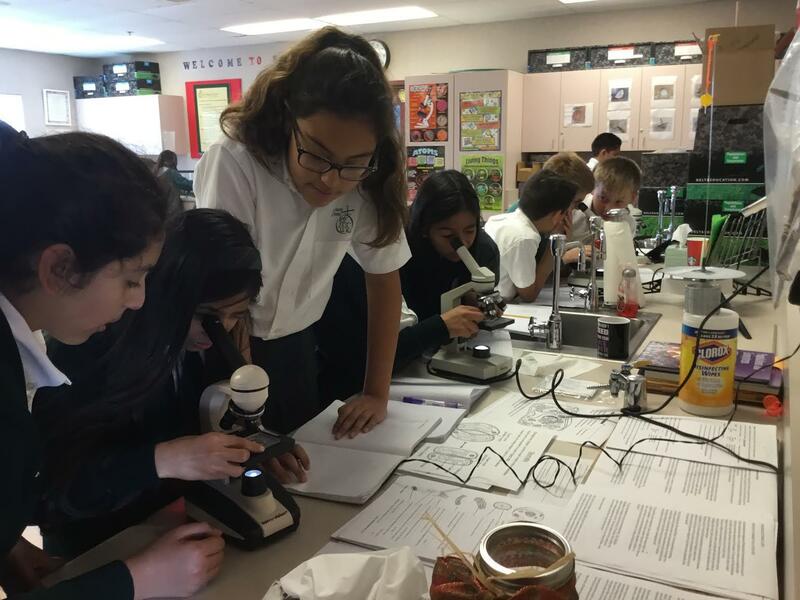 At the Elementary level a dedicated science teacher provides interactive, hands on, standards based lessons that foster a sense of wonder for the world around us. 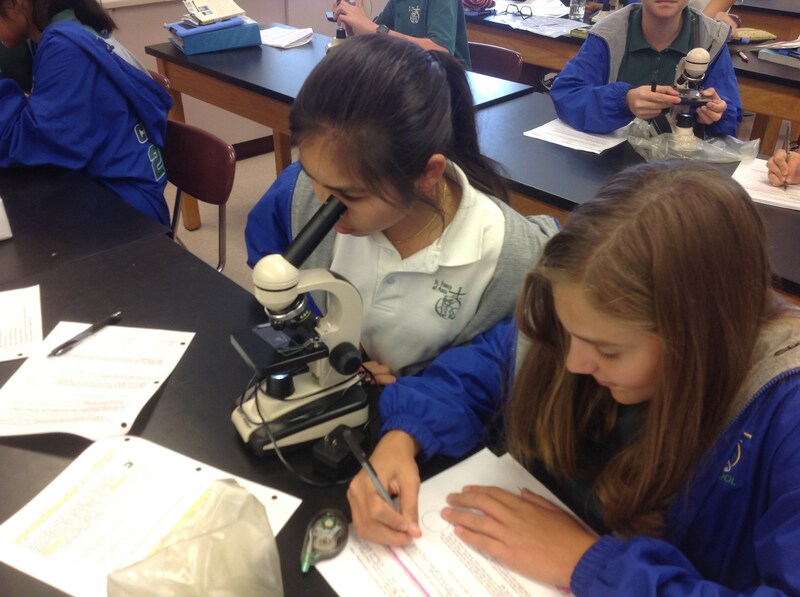 Young scientists are taught a systematic approach to investigation with emphasis on learning how to observe, ask questions and share discoveries. 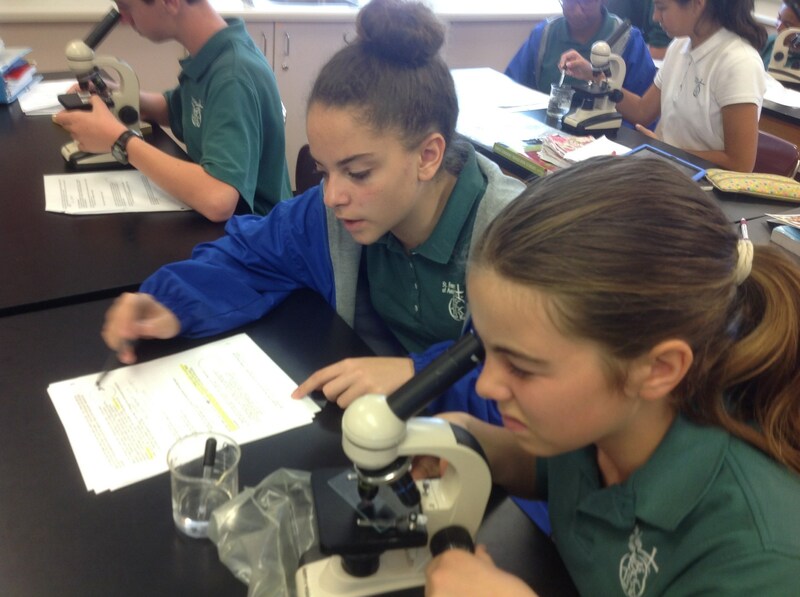 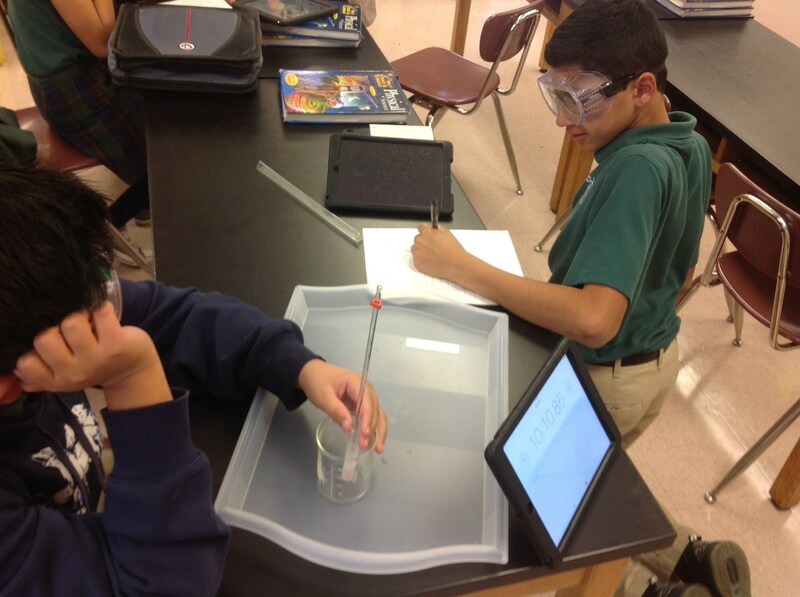 Our middle school students attend class in our science lab four times a week. 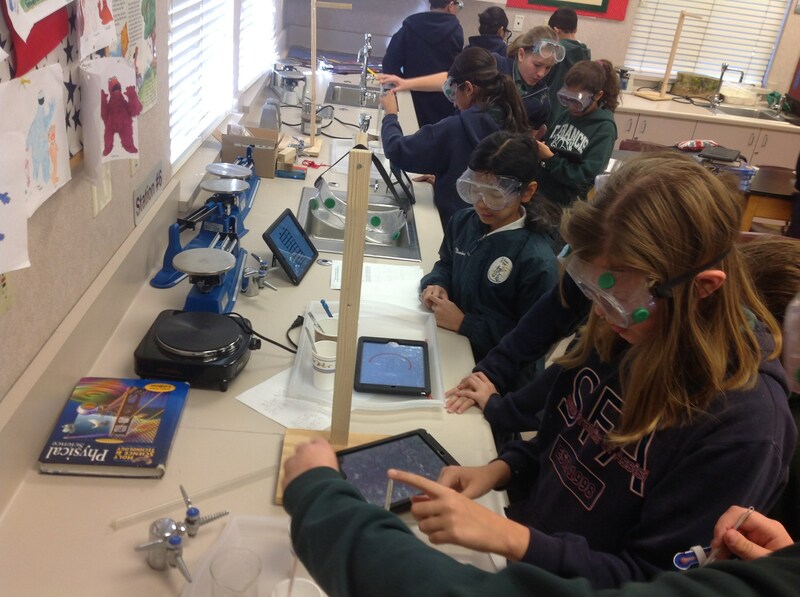 This environment gives our students invaluable opportunities for hands on learning. 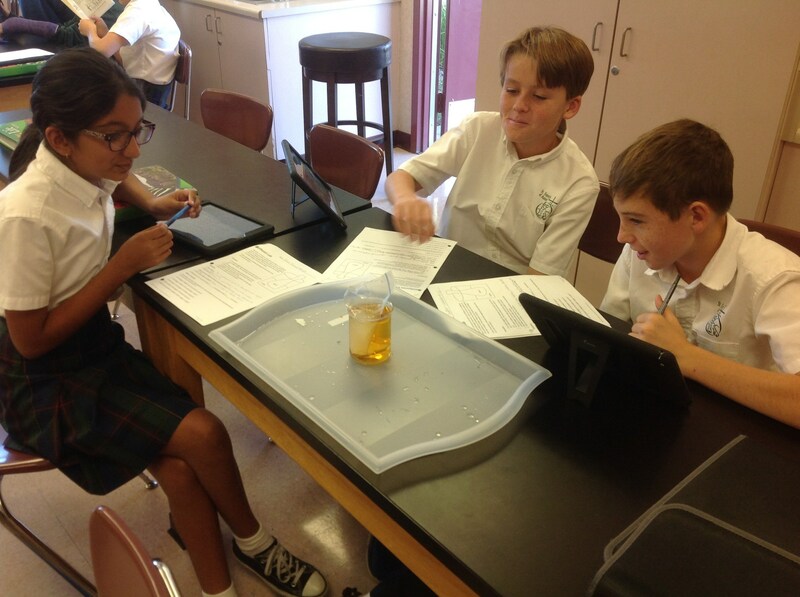 Students work independently and in collaborative groups to construct and challenge their understanding of the world through research, experimentation, observation and analysis. 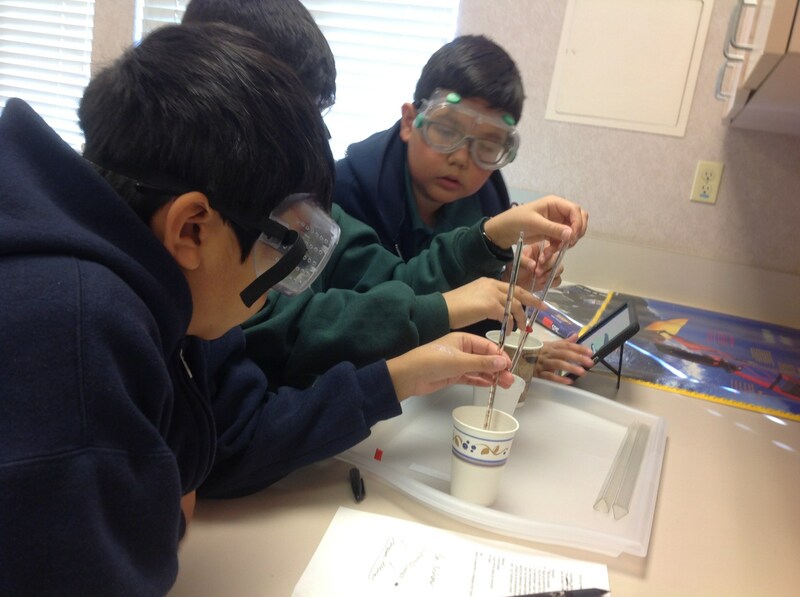 Lessons integrate technology, engineering and mathematics and the scientific method is infused in each lab activity, at an age appropriate level.